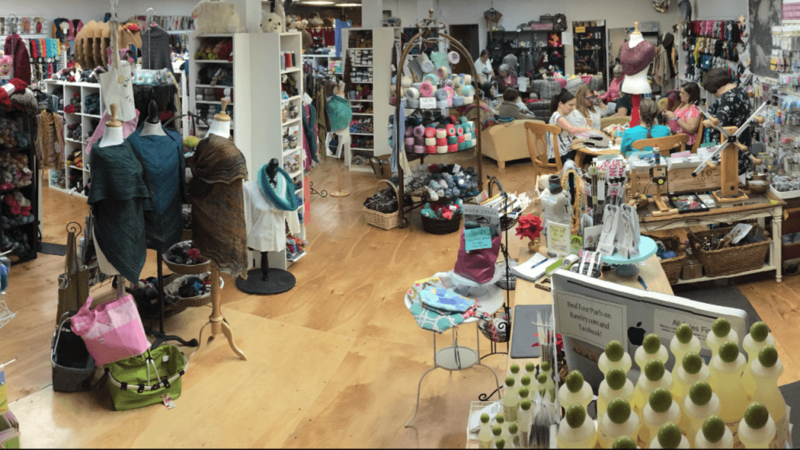 Named in honor of our four children, Four Purls Yarn Shop has over 2800 square feet of fiber fabulousness. Whether fiber arts is your hobby or your passion, you will find something in our inventory of high-quality knitting and crochet yarns, books, patterns, needles and notions. We offer a relaxed and fun environment for the novice to expert. 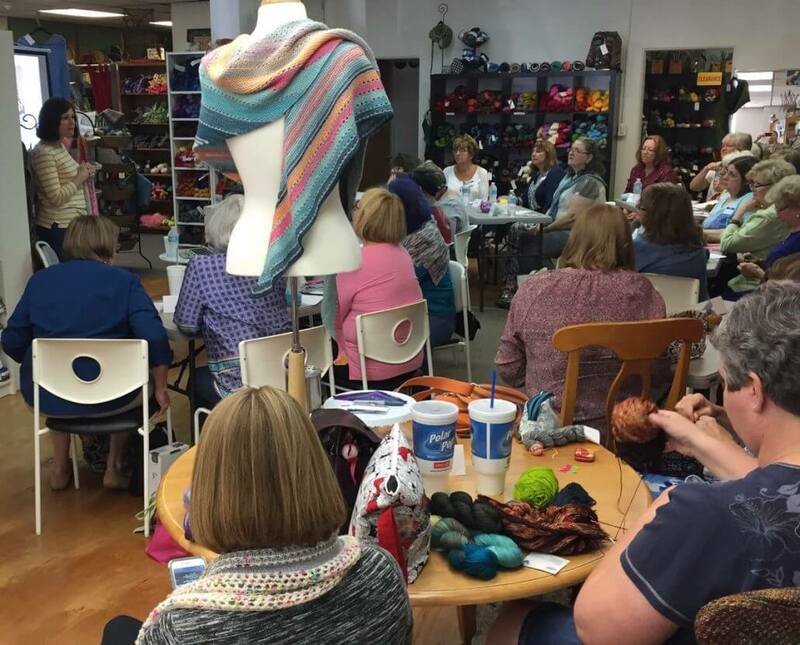 Stop by and sign up for a class, sit and knit, crochet, weave, spin or just be inspired by our beautiful fiber, yarns and roving. The living room is always open! Come spend the day with us. 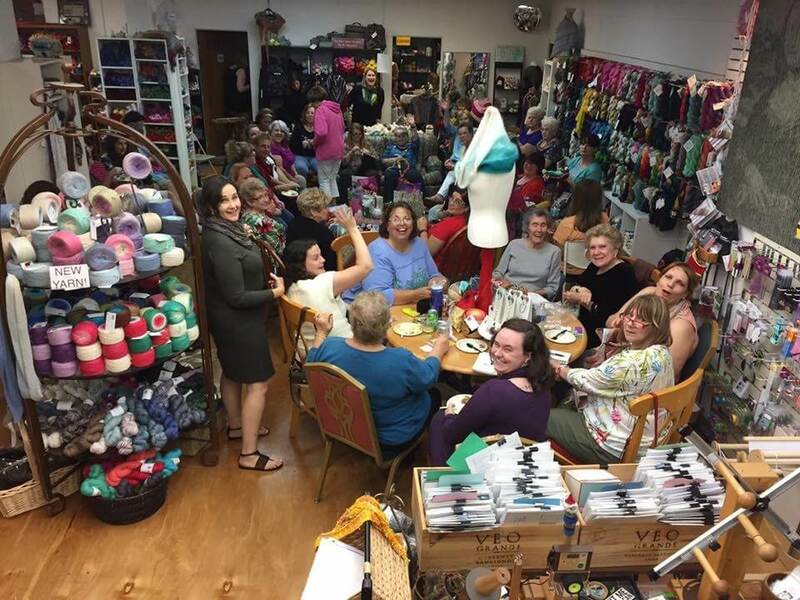 You will love our Central Florida yarn shop – and we’re easy to find! 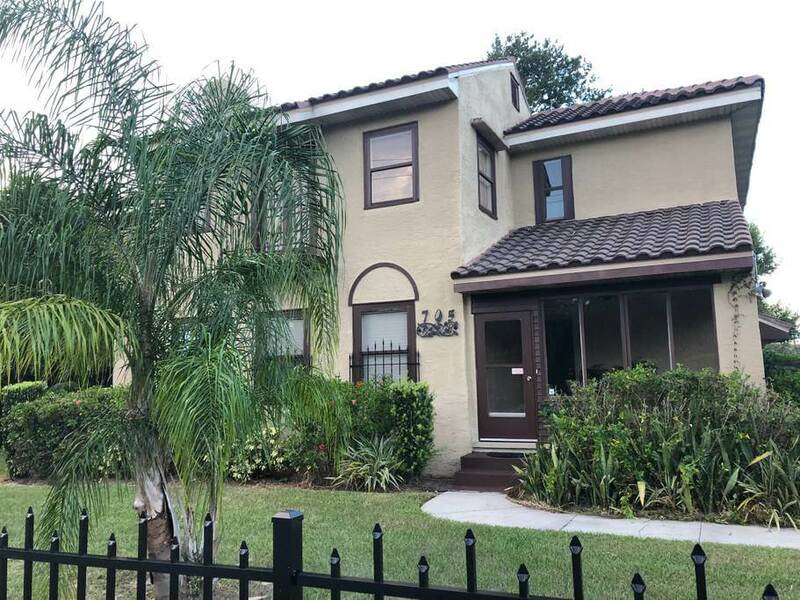 Take a break from Disney World, Universal Studios Orlando, SeaWorld Orlando and International Drive, or drop the family off at Legoland Florida and sit in our living room where you will always find other fiber enthusiasts knitting, crocheting, spinning or weaving. We offer classes and individual instruction in knitting, crochet and weaving. Our huge selection of yarn is sure to meet your approval. Looking to make a trip to Four Purls? We have a local rate available at both The Holiday Inn Winter Haven and The Hampton Inn Winter Haven. Be sure to call the front desk and ask for the Four Purls local rate. The Holiday Inn can be reached at (863) 292-2100 and the Hampton Inn can be reached at (863) 299-9251. There is also a lovely airbnb less than 1 mile from our shop. It’s a beautifully restored 1910 gem. The whole 2nd floor is available for you and your group. Be sure you tell them you are coming to Four Purls when you book.